One hundred years ago this week, the provision of milk to citizens became a contentious issue. Milk was an important commodity for citizens especially with a rationing system in place arising from the ongoing war. Annually Cork City needed circa 500,000 gallons of milk. 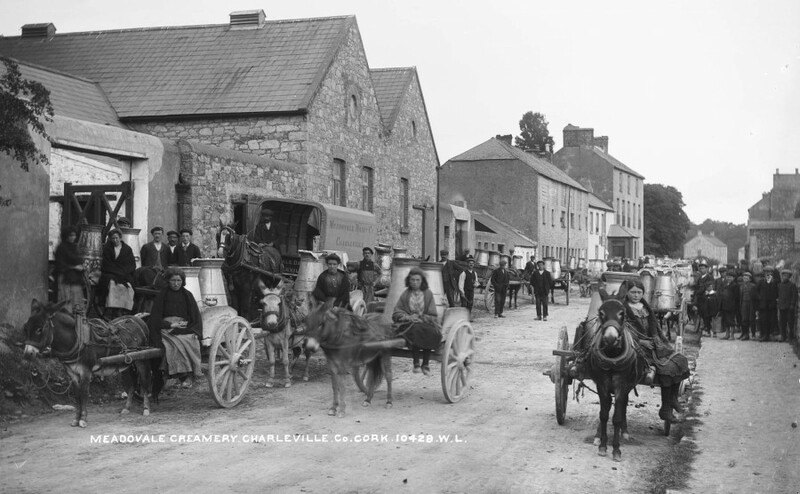 Over 20 creameries in county Cork supplied the city and region’s needs. The Cork Dairy Farmers’ Association were an effective lobby group, which was established in September 1913 with a determined effort to organise themselves and push for the best prices for their member’s milk. They met on Saturday 5 October 1918 to consider the action of the Local Cork Food Control Committee earlier in that week who fixed the milk price at a lower level than expected for the month of October. The proceedings were private, but an official report was supplied later to the Cork Examiner. The meeting was held at the Marlboro Street Hall with Mr Joseph Forrest, chairman presiding. It was unanimously decided that the price fixed by the Local Food Control Committee was entirely inadequate, and that members all decided to lessen their system of farming output straight away. It was highlighted that beef and butter production would pay better than milk. Several farmers declared they would get out of the dairy cow industry. It was decided to cease supply to the city on the subsequent Wednesday. Exceptions, however, were to be made in the case of hospitals, asylums, workhouse, and prisons. Worry hit in across the city for fear of no milk. The Food Control Committee for Ireland in their published order prescribed the maximum price applicable, on the occasion of a sale, other than a retail sale, of milk produced in any part of Ireland. They oversaw prices of milk produced within the limits of the Dublin Metropolitan Police Area, and within the boundaries of the County Boroughs of Belfast, Cork, Londonderrv and Waterford. Prices were set at the rate of 1s 3d per gallon from the 7 to 31 October 1918. During the months of November and December, the rate of 1s 10d per gallon was set and for January, February and March 1919 the rate of 2s per gallon was established. Mr John Horgan, Chairman of the Local Food Control Sub-Committee, went to Dublin to present the views of the Cork Dairy Farmers’ Association and their threat to cut off the supply from the city. 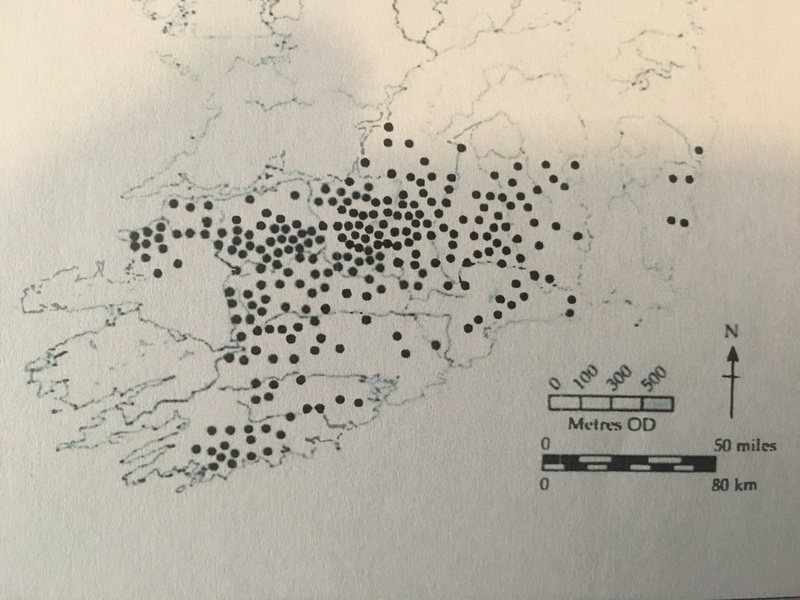 Elsewhere there were other comments made from members of the Cork association who presented a different view that the decision of the body was not unanimous, and that the threat to supply no milk to the people was only supported by a very small proportion of the members. It was also learned that large numbers of vendors and housekeepers in all parts of the city had received promises from their suppliers that there would be no discontinuance in their supplies. The situation was also discussed at a special general meeting of the Cork Milk Vendors’ Federation at Stephen’s Hotel. Mr T O’Donovan (chairman) presided, and there was a large attendance. The Chairman expressed regret at the ongoing dispute, and sincerely trusted that the farmers and Food Control Committee would arrive at an amicable settlement. Their members as distributors deemed themselves in an extremely awkward position, because if no settlement was reached they would had no option but to refuse to supply milk unless it were delivered to them at the controlled price. They were fully aware to the serious consequences that would be incurred owing to a shortage of milk, especially in the case of children. By the 12 October the disagreement between the Cork Dairy Farmers’ Association and the local Food Control Committee, had been settled. Mr Patrick Crowley, of the Cork Industrial Development Association, and Mr Richard Wallace, of the Poor Law Board, were active in an effort to discover some solutions. They invoked the assistance of Capuchin priest Fr Thomas Dowling (see previous columns) and arranged a meeting between him and the Cork Association. Father Thomas made a strong appeal to the farmers, to alter their position and to continue the milk supply to the city for the sake of the sick, the children, and the poor. He pointed out that he was there not to discuss whether the farmers could or could not supply milk at the prices fixed for them by the local Food Committee. He promised the Association that if they would listen to his appeal he would exercise every influence to see that their case had full and fair consideration. A considerable discussion followed, in which the members of the Cork Dairy Farmers’ Association dwelt upon their grievances. Finally, the meeting agreed to accede to the request. In announcing it, the members of the Association detailed they were not yielding to any public uproar but would give in to the appeal of Fr Thomas. Following the conference with Fr Thomas, the news was sent by messengers. and telegrams to the various districts authorising a renewal of the supplies immediately, so that a return to a normal condition of supply would be immediately implemented.